As some you may have noticed, I'm supporting a fantastic cause at the moment: Bobby's Walk. There have been a few great events leading up to the Sterling Charity Ball later on this month, one of which was Bobby's Black Tie. The evening was a great event with lots of people from all across London across many different businesses. There were lots of inspirational speeches throughout the night including from Bobby himself and plenty of opportunities to raise funds in aid of Great Ormond Street, HRH Princes Trust and the India Association. 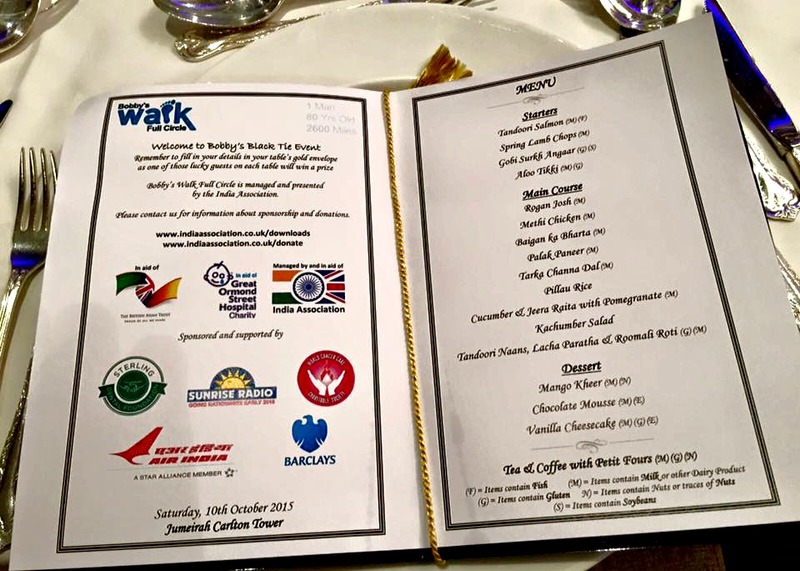 In case you didn't know, Bobby, the 81 year year old Chair of the India Association is planning to walk 2600 miles from one tip of India to another in 5 months in aid of these charities. His inspirational story led many people to donate generously towards Bobby's target of £1.5 million! 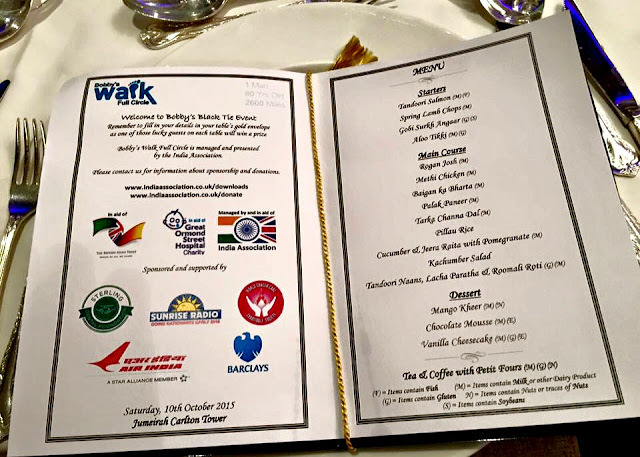 After an evening of fantastic food at the Jumeriah Charlton Hotel in London, we were entertained by the resident band and amazed by the skills of a magician. 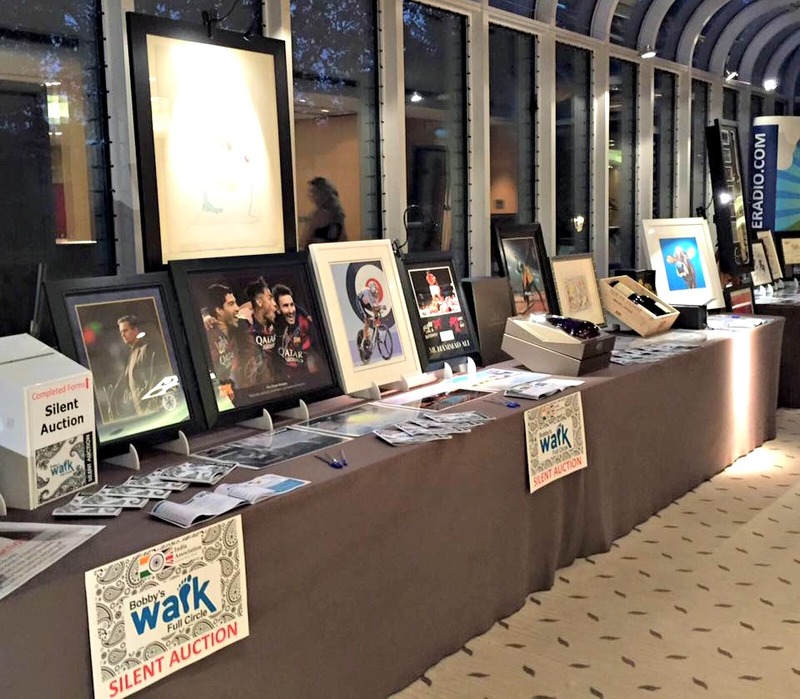 The raffle and silent auction were very popular which raised lots of money towards Bobby's target and throughout the night, there were touching personal stories about each cause through speeches from different Professors as well an emotional speech by a father whose child was treated at GOSH. The Sterling Dental Foundation is hoping to raise even more money for Bobby with our annual charity ball. The Charity Ball is sure to be another wonderful evening of dancing and dining as well as a fantastic opportunity to see old colleagues, meet new friends and relax – all while helping those who need it the most. With special guests and renowned entertainment, plus the chance to learn more about Bobby’s good works and help make a real difference yourself, this is one event that simply cannot be missed. Saturday 28th November 2015 at the Hilton London Metropole, 225 Edgware Road, London W2 1JU.